The Lee County 4-H Trail Blazers club recently took part in the “Youth against Poverty” Initiative, a multi-state 4-H Day dedicated to Service Projects. 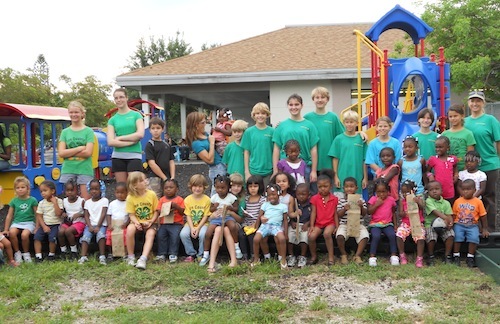 The 4-HTrail Blazers built raised garden beds and planted vegetables for urban and underprivileged youth at a local Preschool in Fort Myers. 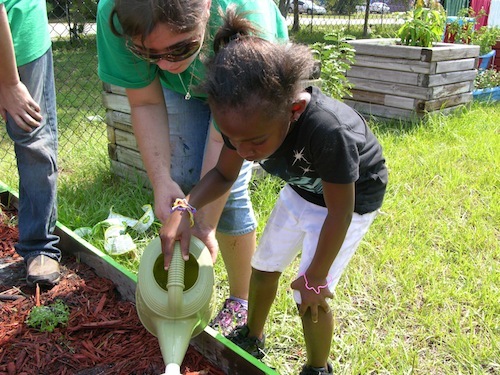 4-H’er Michele Alger teaching a preschool youth to water the vegetable garden. The vegetables grown from these gardens will be the only fresh produce some of these youngsters have available to them. In addition to planting a nutritious garden, the Trail Blazers pulled weeds and spruced up the preschool and the local Soup Kitchen with new flowers, bushes and mulch. The new landscaping will bring a fresh look and offer hope to those most affected by poverty in our community. By joining together with other 4-Her’s across the state and country we hope to make an impact on our local community. 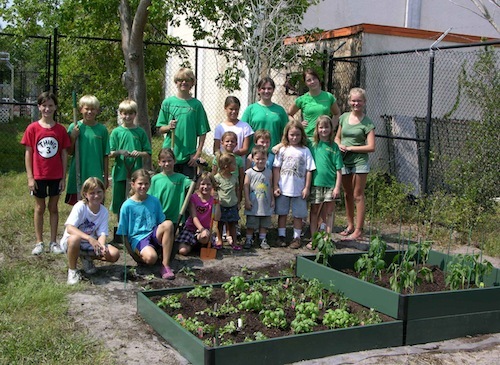 The 4-H Trail Blazers would like to thank Forestry Resources of Fort Myers for their generous support of this project.